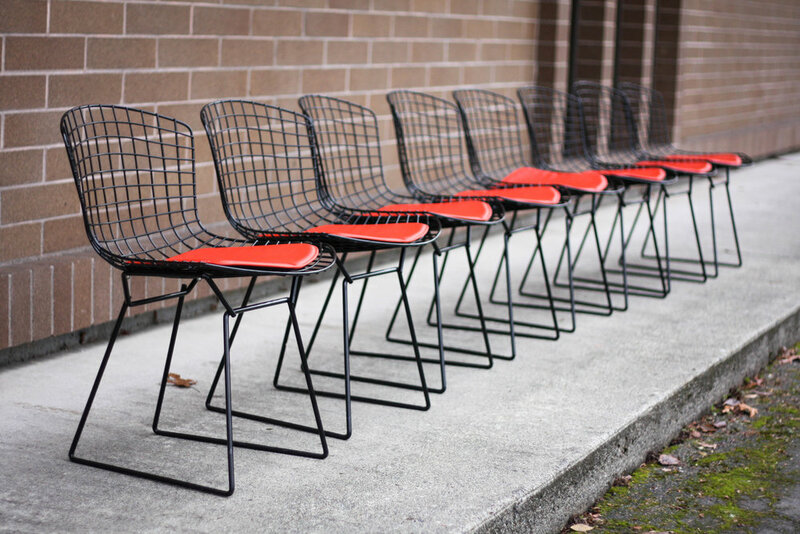 The Bertoia side chair was designed by Harry Bertoia for Knoll in the 1950's. Bertoia was a sculptor, furniture designer, graphic artist and metal smith...an iconic and central figure in American Modernism. 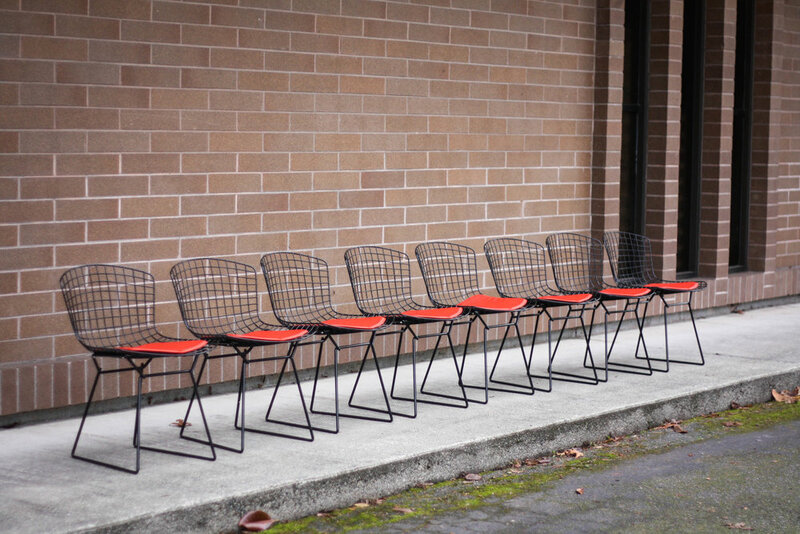 For your consideration is a set of 8 authentic side chairs from the 1980's. They came out of the Port of Tacoma government building and have been virtually unused the last 35 years. They retain their original blood orange seat pads. In excellent vintage condition with very little signs of wear. No rusting as is common with the chrome version. Seat pads only show minor wear and are still soft. No need to replace them anytime soon. 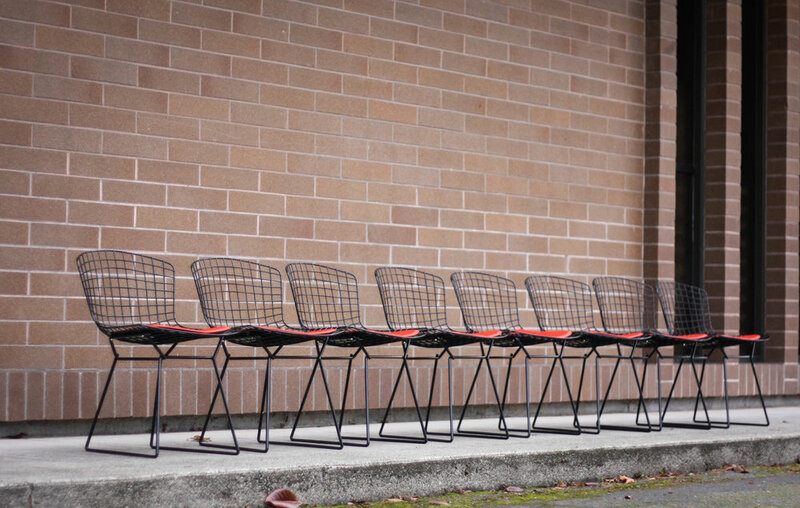 You can't beat the minimalistic impact the Bertoia side chair will have in your home. Dimensions: 31" tall x 21" wide x 22" deep...18" seat height.